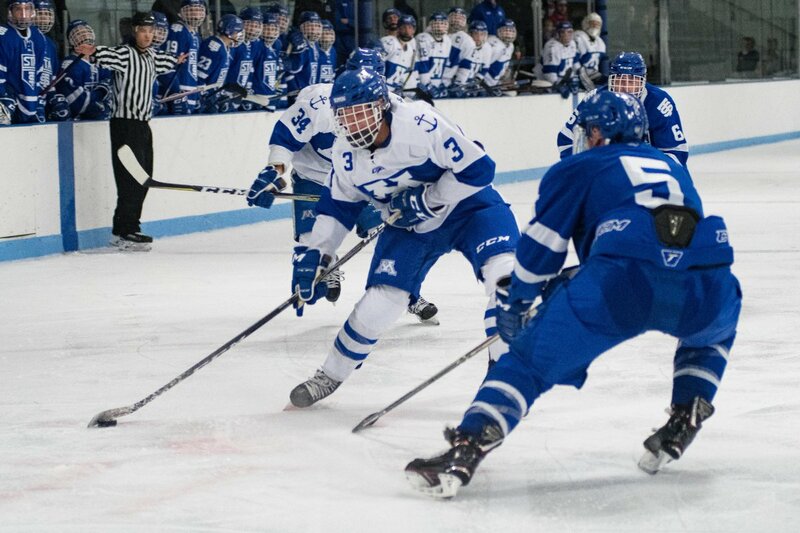 Josh Luedtke has been a key cog on the blue line for Minnetonka this year on its way to a 13-1-2 record to start the season, as well as the #1 ranking in the state of Minnesota. When he was asked about what makes playing defense for Minnetonka a driving force in his development, Luedtke said it was how hard the coaching staff pushes the defensemen to be their best. With Minnetonka losing their first game of the season recently, 4-2 to Duluth East, Luedtke said that he believes the loss brought extra motivation for the team moving forward this season. A Northern Michigan commit, Luedtke says his experience on his visits really convinced him that it was the right choice. Luedtke said that where the Northern Michigan staff really made an impression was how they saw him fitting into their game plan moving forward. While Luedtke will be heading to Northern Michigan in the next couple years, he said he is focused on one thing: winning a State Championship. Thanks in part to Luedtke, the Skippers are headed in the right direction to achieve that goal.